The Champions League and Confederation Cup group stages will each double to 16 teams in 2017, the Confederation of African Football has revealed. In each competition, 16 clubs will be divided into four groups of four at the pool stage, instead of the current eight teams divided into two groups. Effective from next season, the new format was announced by Caf president Issa Hayatou on Wednesday. 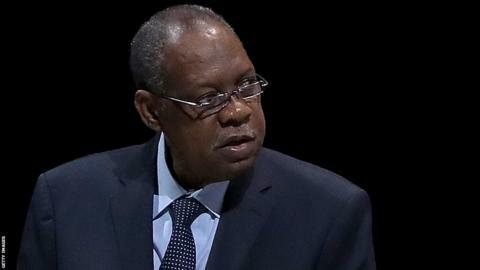 Hayatou was speaking at Caf's Ordinary General Assembly in Mexico. New Fifa president Gianni Infantino was in attendance at the assembly for the first time since he was elected leader of football's world governing body. And Hayatou took the opportunity to highlight his belief that Africa should be given more places at future World Cup tournaments, referring to recent African success at age-restricted tournaments to support his view. "The Under-17 World cup in 2015 featured two African teams, Nigeria and Mali, who contested the finals, with Nigeria getting the victory," he said. "With the Under-20 World Cup (also in 2015), we witnessed inter-African confrontation between Senegal and Mali during the third place game. "It becomes clearly apparent that a better representation of our continent at those levels in the World Cup would just be justice. The consistency of the performances of African teams in these age-category competitions advocates that."